• What test is more competitive and arguably harder for the grade level taking it than the SAT or ACT is for its cohort? • And what test shuts out over 80% of its 27,000 test takers, dooming them to one of three unattractrive choices: accept a mediocre public school, pay over $40,000 per year for private school – or move out of town? You know it’s the SHSAT, New York City’s Specialized High School Admissions Test, taken in October of eighth grade for entrance to high school the following fall. This test, taken only once, is the single detemining factor in whether students are offered admissions to one of the top eight public high schools in New York City – all of which are among the most elite in the entire country, famous prep schools included. Given that the stakes are enormously high for New York City families, smart students start their SHSAT prep long before the October exam. The test has recently been revamped after criticism that its content, in the Verbal section in particular, was unfair to students who lacked extra prep resources outside the classroom. This material – scrambled sentences to put in order and logical reasoning questions – was deemed outside the scope of the school curriculum. So, as of Fall 2017, the dreaded Scrambled Paragraphs and inscrutable Logical Reasoning are gone. In their place is a new ELA section, encompassing the unchanged Reading Comprehension content plus a new language arts grab-bag of questions. The revised SHSAT is three hours long, a half hour longer than the old exam. This additional thirty minutes reflects the increased number of questions: 114, up from 95. Those additional questions will be used for “field testing” of future exam material to ascertain its “appropriateness” for the test, according to a Department of Education (DOE) representative’s talk this week at the PA meeting of MS 51 in Park Slope. That is politically correct speak to say that the city wants to be sure that these questions don’t shut out traditionally lower scoring student populations. Whether the questions will be chosen going forward in an effort to bend the curve their way is to be seen. The bottom line, however, is that this test must stay incredibly competitive because in order for these top schools to remain academically advanced, they have to be competitive in some way. 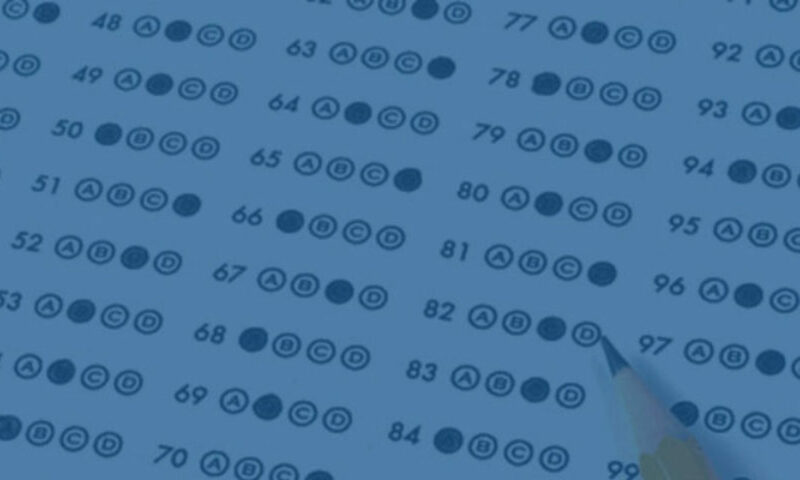 So how can students best prepare for the revised SHSAT? Half the test is Math, and while a new format of question has been introduced (for 5 questions, non-multiple choice grid-in answers), the content is unchanged. There are great resources from the DOE, previous tests and samples to download. Start with the 2014-2015 handbook (same as 2013-14 and 2015-16) here. It contains two full tests and explanations of every question. Math and Reading Comprehension sections are unchanged from previous form and content. Google search for additional practice tests from years 2008-2012. Violetta Dubinana’s Practice Math Tests for New York City SHSAT Vol 1 and 2 are also excellent for Math practice, as is Barron’s text. For the new section in ELA, refer first to the meager sample offered by the DOE in its FAQ about the new test here. The department has promised a full practice test by June 2017, but for students who want to get a head start, I recommend working on ACT English practice test sections and PSAT Writing test sections. Official samples with explanations of answers can be found on the ACT and College Board websites. 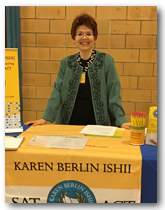 The SHSAT is on my mind now because this week I was invited by the Parents’ Association of MS 51, a NYC public middle school for gifted and talented students, to participate in their SHSAT test prep fair. For my table presentation, I put together a summary of my BEST TEST TIPS of all time, focussing on key techniques for middle school students’ admissions tests: the SHSAT, plus the ISEE and SSAT for private high schools. I also adapted a demo page of my very special techniques for the Sentence Completions section of the ISEE. Below are links to my test-taking secrets – I’m giving them to you! It’s crazy – get them now before I come to my senses! Please download either or both of these .pdf files and see if your student finds them helpful. And feel free to email me if you have questions or are interested in my tutoring. Good luck to all in their quests for terrific high school opportunities!